I’m currently in crazy- holiday baking mode. My first batch of cookies last weekend was a disaster. I tried to make a white chocolate- macadamia nut cookie that came out flat as a pancake and weird. Into the trash those went, along with the gazillion dollars I paid for the macadamia nuts. BUMMER. 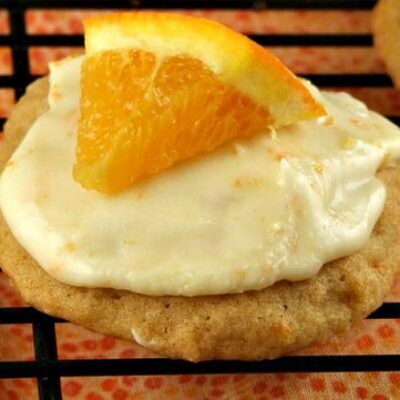 These cookies here were a different story- a great success! 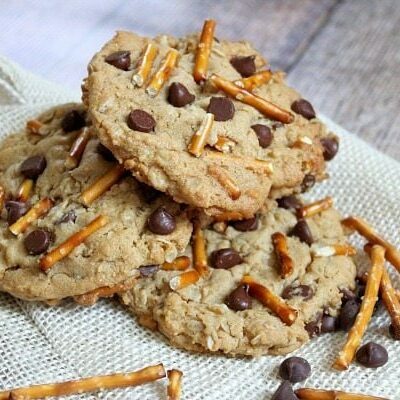 They’re a tender, flaky butter cookie dotted with pecans (or almonds) and chocolate chips. The cookie itself is chocolatey too. 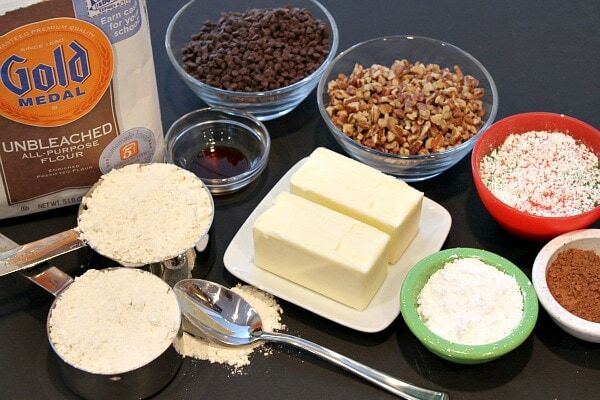 Here’s everything you need to make this cookie, which isn’t much- your Gold Medal Flour (my flour of choice), good butter (not store-brand), vanilla, MINI chocolate chips, pecans and cocoa powder. There’s also a little bit of powdered sugar IN the cookie, and then there’s the powdered sugar mixed with red/green sugar that you roll the baked cookie into. 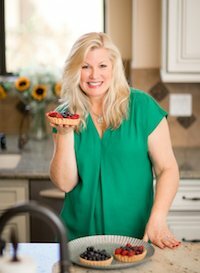 Something fun about this recipe is that it’s an easy one to GIFT the ingredients to friends and family this holiday season. I picked up these cute jars at Walmart. They’re 1.2-liter jars, and all of your chocolate snowball ingredients will fit perfectly inside of them. Here’s what it looks like if you layer the ingredients in the jar. The powdered sugar for rolling is placed in a plastic baggie and tucked on top before closing the lid. Then you can include a cute little note like this with your gift. All your recipient will have to do is mix the ingredients in the jar with butter and vanilla, and then they can bake them as directed. 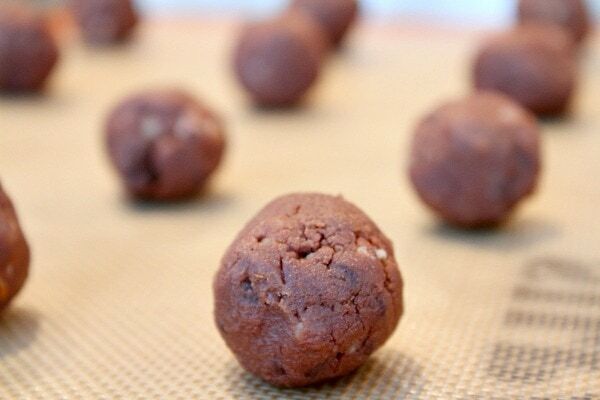 The chocolatey dough is rolled into balls and baked for a solid 20 minutes. When you take them out of the oven, you need to be patient and let them cool COMPLETELY. They are a tender, delicious cookie. Straight out of the oven, they’ll want to crumble apart, so give ’em time to cool! Once cool, they can be rolled in the powdered sugar mixture. That’s it! You can serve them right away, store in a covered container, or even freeze them in a covered container until you’re ready to assemble cookie platters for the holidays. And here’s a little peek at what they look like inside. Happy holiday baking! 1. Preheat the oven to 325 degrees F. Line baking sheets with parchment paper or silpat mats. 2. In a large bowl, combine all ingredients except the final ingredient (the powdered sugar + the colored sugar). Use an electric mixer to combine until well mixed. Roll tablespoonfuls of dough into balls and place on the prepared baking sheets. 3. Bake for 20 minutes. Remove from the oven and let cool COMPLETELY before you remove them from the baking sheets. If you don't let them cool completely, they will crumble easily. Be patient 🙂 . 4. 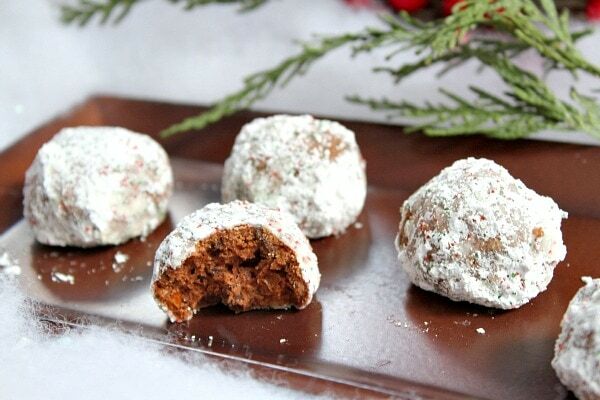 Roll cooled cookies in the sparkling powdered sugar mixture. Store cookies at room temperature in a covered container for up to three days. Or store in the freezer in a covered container for up to 30 days. 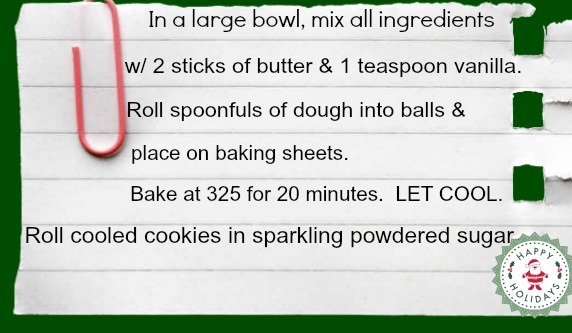 *If you would like to GIFT this cookie in a gift jar, layer all of the ingredients in the order listed (except for the butter and vanilla). Put the powdered sugar + colored sugar in a small zip or plastic baggie and place on top of the other ingredients. 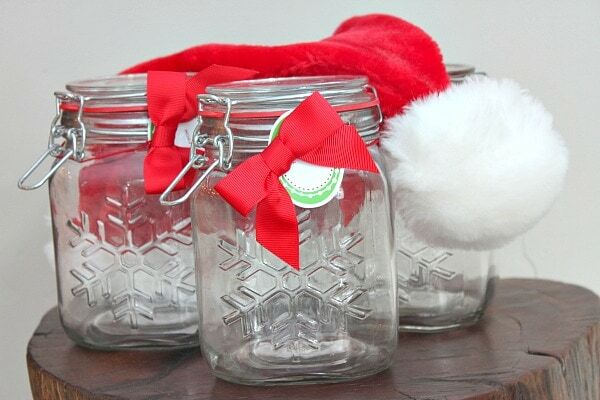 Seal the jar, print out the instructions and gift to a friend for the holidays! Disclosure: This post was created in partnership with Gold Medal Flour, a product I’ve used and trusted in my kitchen for many years. All opinions shared are my own. These are a classic cookie. 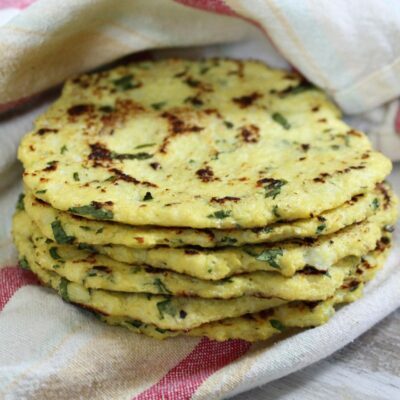 You can never go wrong with them, and they are always guaranteed to be a hit. 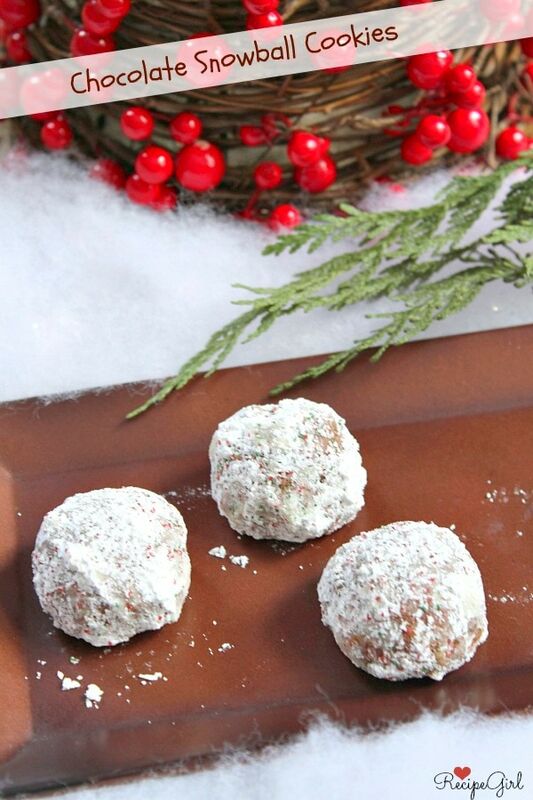 We make the white snowballs every year- this time I think we’ll do the chocolate ones- they look yummy! 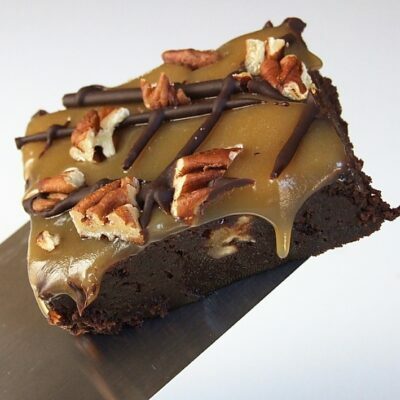 You had me at chocolate. Yes! I adore snowballs and I love this chocolate version!! I love that you got festive even with the sugar rolling!! I’ve been thinking about last weekends failure with the chocolate macadamia nut cookies and the fact that they came out flat. We live at similar altitudes – I’ve lived in Colorado Springs for 30+ years and it sounds like you made no altitude adjustment on them. Some cookies need it and some don’t. when my cookies come out flat it’s because I’ve not made the adjustment. Good luck next time with them. 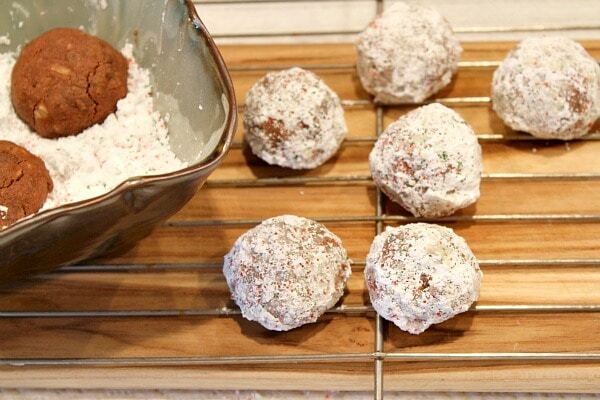 These Chocolate Snowball cookies look great. These cookies make such cute gifts! I love how you did mason jars. about how many does this recipe make? they look delicious. Well, if it makes you feel better, I wasted 2 entire bags of dark chocolate chips this weekend due to a failed chocolate tempering. I just hate throwing ingredients away! 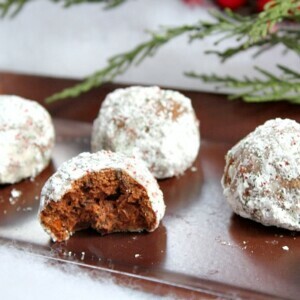 Oh, this chocolate version of a snowball cookie sounds amazing! 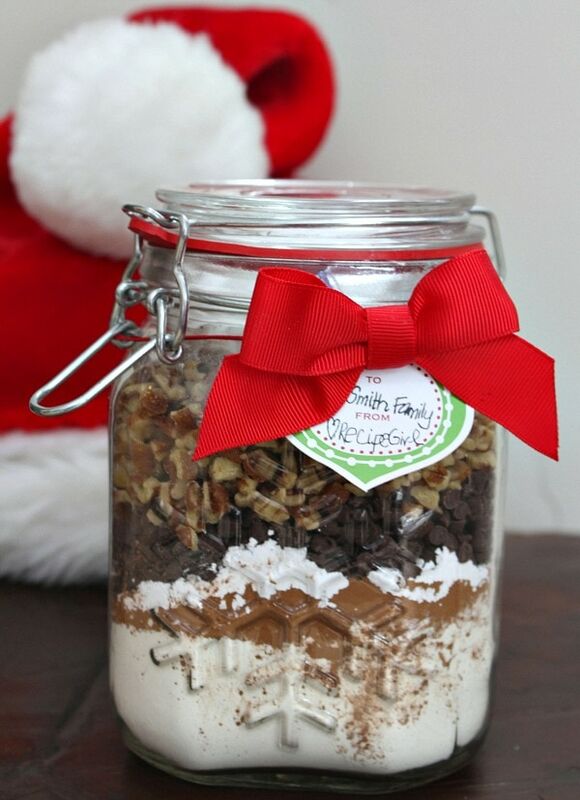 Love the idea of giving the ingredients as a gift in those cute jars! 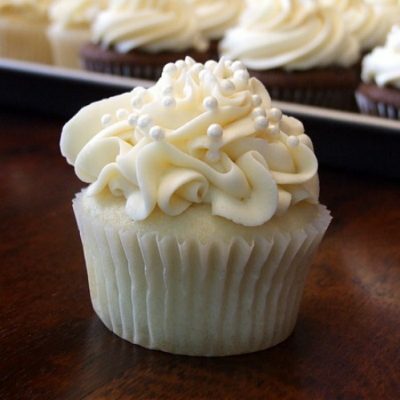 Snowballs are one of my favorites. LOVE the chocolate version 🙂 And what a cute cute gift! These cookies are beautiful! I had a bad baking experience this weekend too! Tried to make Gingerbread macarons – flat as a pancake! I have vowed to keep trying until I get them right! Just in time! I needed some more cookie ideas for our Christmas Eve cookie platter. 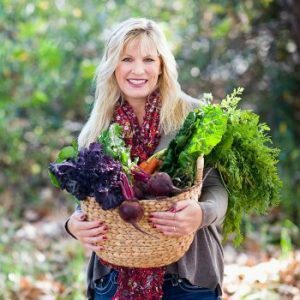 I love the gift ideas so much will be doing that as a little take home! 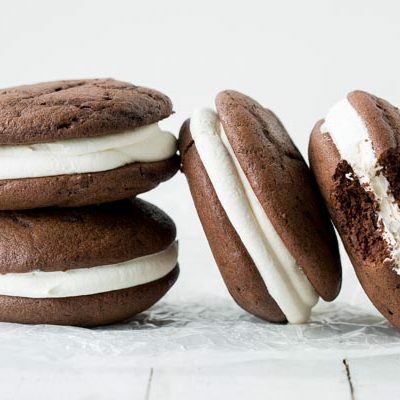 Love the chocolate twist on a snowball cookie. Fantastic idea, and delicious looking too. 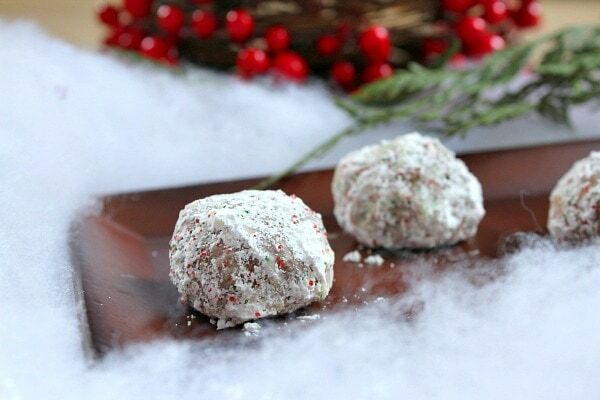 Snowballs are one of my favorite Christmas cookies — I can’t wait to try the chocolate version. And those snowflake jars — how have I missed those? I need to look for them at Walmart!! I have never been a huge fan of snowball cookies, but that is only because they are not chocolate. Not that you are showing me these chocolate ones I think I can get on board! These look incredible and I love the idea of giving them as a gift!